Close to Beaches and San Diego Wild Animal Park. 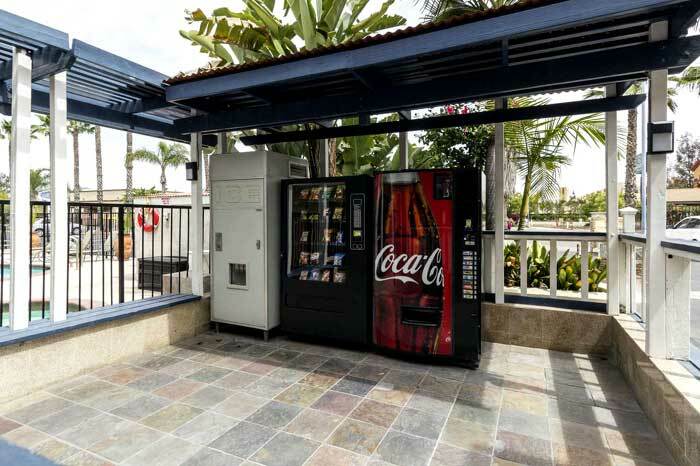 Business Center, Guest Laundry, Vending Machines, ADA Compliant Hotel, FEMA Approved, NO Pets except ADA. Start your day off right with our Complimetary Breakfast. Take a refreshing dip in our Seasoanl Outdoor Pool. The Econo Lodge Inn & Suites® Escondido Downtown hotel is easy to find, easy to book and easy on your wallet. We're conveniently located off Interstate 15 near the San Diego Zoo Safari Park. You can also easily get to the Cordiano Winery, Ferrara Winery, Stone Brewing Company and a wide array of outdoor activities, including fishing, biking, basketball, hiking, tennis and golf courses. Grab a bite to eat at Rancho Las Palmas Mexican Grill & Seafood, which is adjacent to our hotel. Each guest room offers standard amenities and more. Hate hunting for outlets when you’re at a hotel? We make it easy with convenient outlets at the night stand in every room. Make travel a little easier on everyone by staying at the Econo Lodge Inn & Suites Escondido Downtown hotel. We’re an easy stop on the road and a great place to stay, all at a great rate. Book today! Activities : With a beautiful year-round climate, Escondido is the heart of northern San Diego. Rich in history and culture, there are many attractions and experiences to explore! We're home to the California Center for the Arts, Escondido, a unique visual and performing arts complex and museum; the San Diego Zoo Safari Park, an expansive wildlife sanctuary; the amazing sculpture garden, Queen Califia's Magical Circle, created by the late world-acclaimed artist Niki de Saint Phalle; the San Diego Children's Discovery Museum; and Daley Ranch, a wilderness preserve with extensive hiking, biking and equestrian trails… as well as equestrian trail riding at The Ranch at Bandy Canyon and exploring 10,000 years of San Diego history at the San Diego Archaeological Center. Airport : San Diego International Airport TRAVEL TIPS Arrive Early: Longer lines and wait times may result because of increased security measures. Plan to arrive two (2) hours prior to flight departures. Passengers are strongly encouraged to check with their respective airlines to verify schedules before coming to the Airport. Dining : Bon Appetite! Escondido celebrates its vast diversity in several ways throughout this unique Southern Californian community. To dining enthusiasts this is deliciously reflected in the wide assortment of local eateries and fine restaurants to satiate virtually every appetite. Explore your options on the menu below and eat to your heart's content! Golf : REIDY CREEK GOLF COURSE 2300 N Broadway, Escondido, CA 92026 Website Reidy Creek is regarded as one of the country's finest and challenging par 3 courses. Reidy Creek was carefully designed by course architect Cal Olson to maximize its natural valley setting to offer 18 distinctive holes. Government : Escondido is a general law city governed by a five-member City Council. The Mayor and the City Treasurer are directly elected at large. The City of Escondido has been divided into four (4) districts, which shall be used for all regular elections of Council members; for the recall of any Council member elected; for the appointment of any new Council member to fill a vacancy in the office of member of the Council; and for any special election to fill a vacancy in the office of member of the Council. Hospitals : PALOMAR MEDICAL CENTER 2185 Citracado Parkway, Escondido, CA 92029 Website Phone : (442) 281-5000 Our Mission To heal, comfort, and promote health in the communities we serve. Our Vision Palomar Health will be the health system of choice for patients, physicians, and employees, recognized nationally for the highest quality of clinical care and access to comprehensive services. Shopping : Shopping in Escondido, Ca. provides the enticing combination of upscale offerings and a casual atmosphere. Walk tree-lined streets to discover art galleries, garden shops, jewelers, clothing stores, boutiques and a farmer's market with goodies galore. University : JOHN PAUL THE GREAT CATHOLIC UNIVERSITY 155 W Grand Ave, Escondido, CA 92025 (858) 653-6740 Website John Paul the Great Catholic University, which opened in September 2006, is a visionary teaching institution focused on and dedicated to molding students into future innovators and creators, leaders and entrepreneurs. Students have the opportunity to acquire a deep and personal knowledge of Jesus Christ. Catholic ethical, moral, and social values provide a guiding compass for everything we do. Wineries : Wineries & Craft Breweries You can indulge in the best of both worlds in and around Escondido! Our area wineries offer diverse experiences from urban winery/tasting rooms to hilltop terraces with spectacular views! Enjoy the casual opportunity to meet the vintners and learn about their award-winning wines and wonderful stories. San Diego is also the “Capital of Craft Beer” and one of the largest and certainly most popular, Stone Brewing Co., has been based here for over 10 years. Escondido is home to the first Stone Brewing World Bistro & Gardens and Stone Farms. You can also enjoy two other unique craft beer adventures at Plan 9 Alehouse and Offbeat Brewing Company. Cheers! Welcome to our great hotel in Escondido California with affordable rates and cheap budget discount lodging. 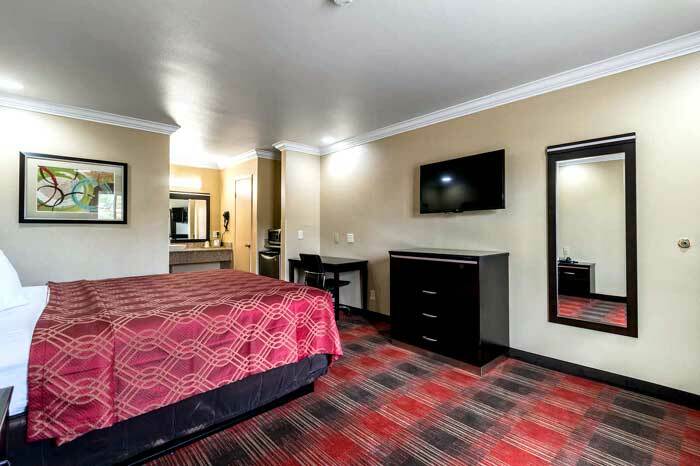 Econo Lodge Inn and Suites Downtown welcomes you to our budget hotel in Escondido California. 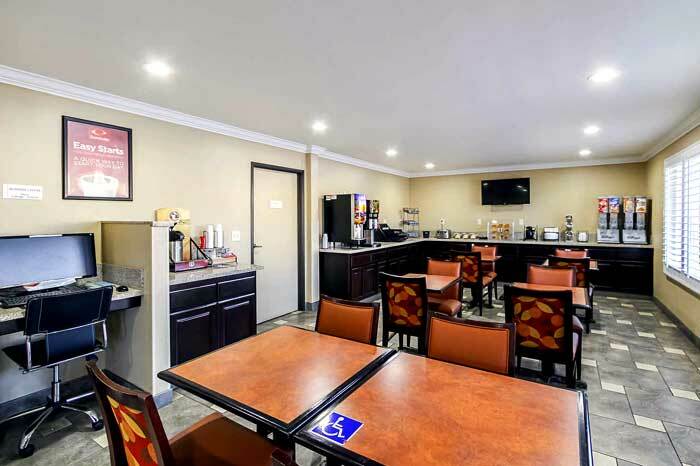 Econo Lodge Inn and Suites Downtown will provide you excellent customer service with great amenities in comparison to all Hotels and Motels in Escondido California. Please visit us on your next stay in Escondido California and let us provide you with 4 star hospitality for 2 to 3 star budget rates. 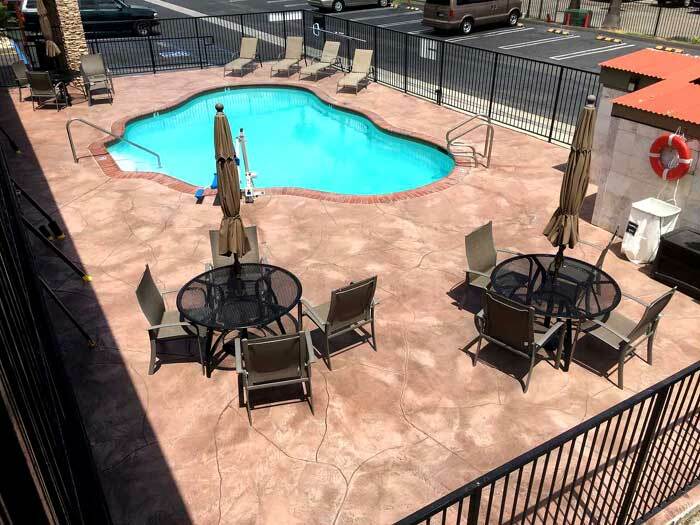 Econo Lodge Inn and Suites Downtown has been providing lodging and accommodations in Escondido California for several years and looks forward to providing our valued customer and business traveler with the best service in Escondido California for Hotels and Motels in our local area. Things to do Escondido Ca. © 2018 Econo Lodge Inn and Suites Downtown. All rights reserved.